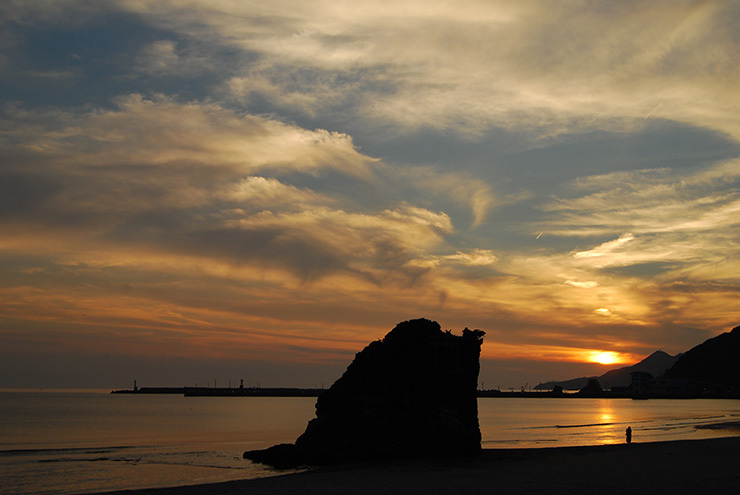 Shimane, a historical area where many Japanese myths are set. 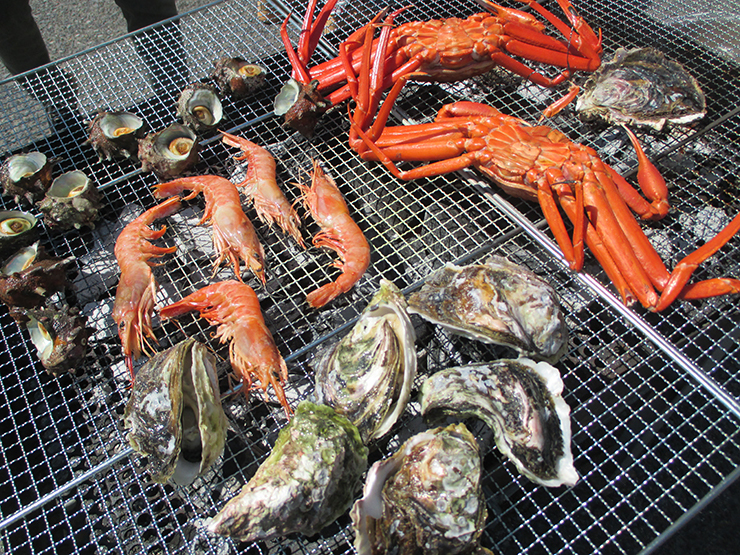 There are many recommended spots to go from the Izumo Enmusubi Airport. According to legend, this is the place where the gods from all over Japan gathered together once a year to have a conference of match-making. Going through the torii gates made with stone, wood, iron, and copper in order from the entrance, you can experience a shrine visit with a mystical ambience. 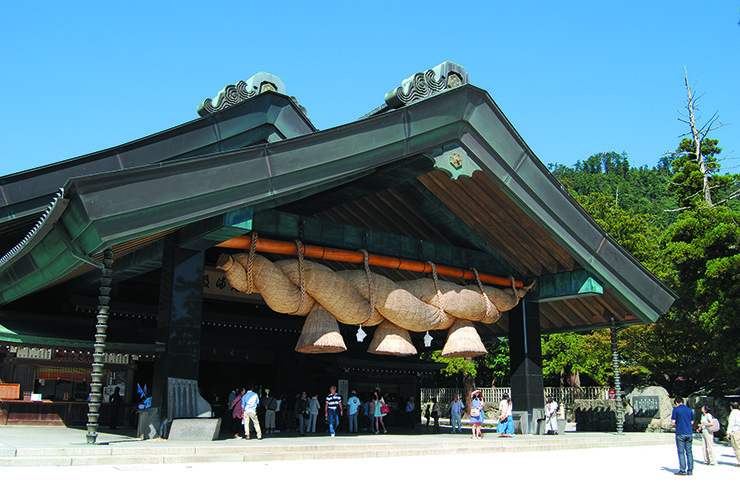 The main hall built in 1744 is one of the largest shrines in Japan and is designated a National Treasure. 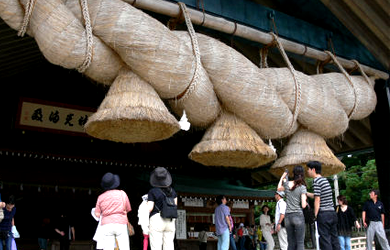 Located at the front of the Kaguraden Hall building, one of Japan’s biggest shimenawa (sacred rope made with straw or hemp) is overwhelming in appearance. 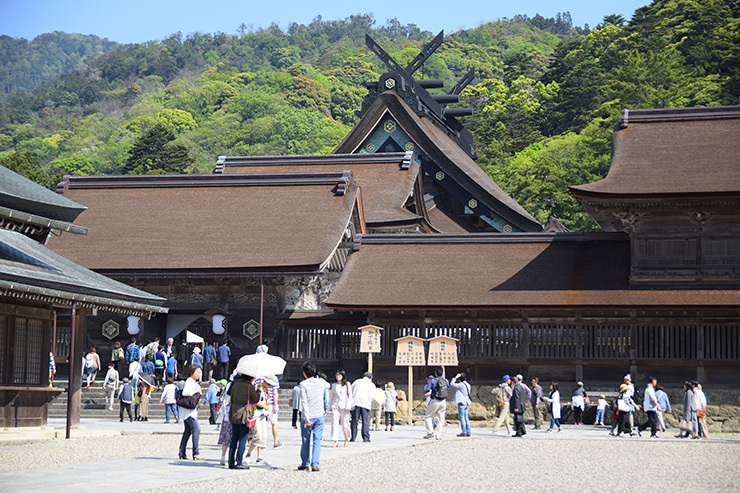 It is said that this shrine is beneficial for romantic relationships, so it might be a good idea to visit the shrine while feeling the ties with someone important to you. Walking to the west for about 20 minutes from Izumo Taisha Shrine, you will see Benten Island standing just off of the beach. 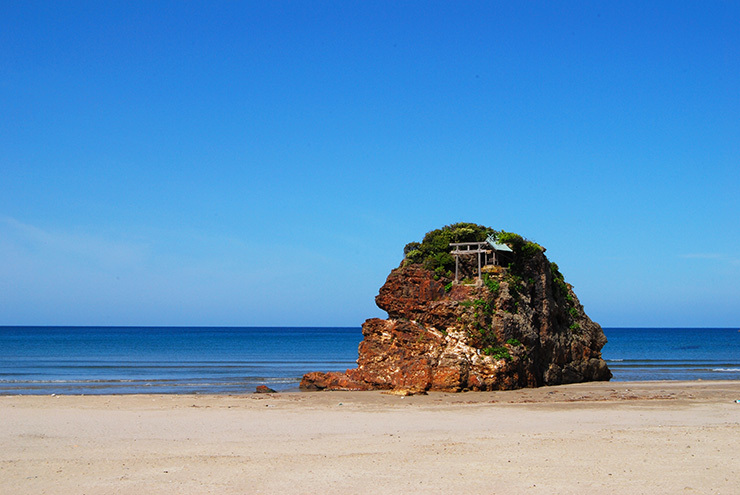 This island used to be located off of Isa Bay, but as the beach gradually extended, it is now almost accessible on foot from the beach. In the evening, the island, water, and sky are dazzling with orange tints, creating a beautiful landscape. Said to have been there for 1,300 years, Tamatsukuri Onsen is famous as a hot spring for beautiful skin. The area has many onsen ryokan (Japanese-style hotels) as well as souvenir shops and outdoor footbath facilities, which makes the town a perfect place to enjoy strolling around wearing yukata (cotton kimono) in a relaxing atmosphere. As you walk along the river in this area, you will come across several art works in the motif of Izumo mythology placed here and there. At Tamatsukuriyu-jinja Shrine near Tamatsukuri Onsen, there is a rock called “negai-ishi,” which is said to make your wish come true if you touch it and pray. As a symbol of Matsue City, Matsue Castle is one of the few castles in Japan that have been in the same place without any major changes for more than 400 years and has been designated a National Treasure. From the top floor of the castle, you can enjoy a panoramic view of Matsue City and Lake Shinji. 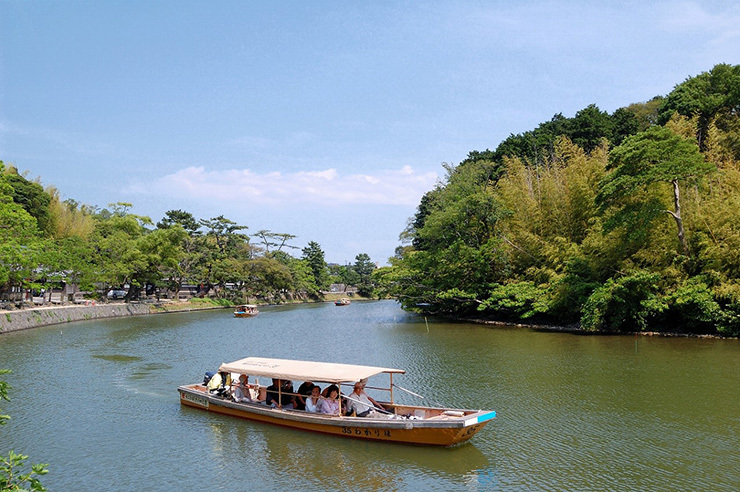 This sightseeing boat will take you on a relaxing tour on the moat (horikawa) surrounding Matsue Castle, which takes about 50 minutes. A special boat tour has started operation from April 2018, offering an opportunity to enjoy the atmosphere of the castle town along with the culture of the tea ceremony with matcha powered green tea made by yourself and Matsue’s traditional sweets. 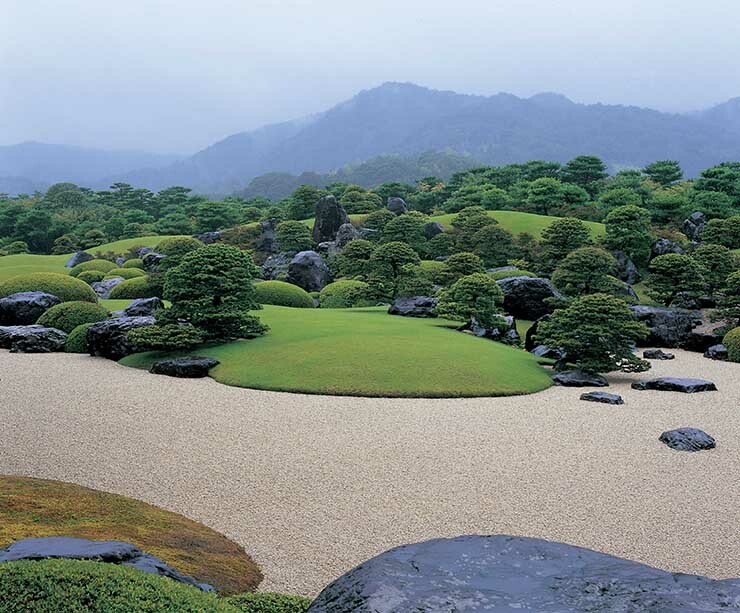 This museum is famous for its garden, which has been recognized as Japan’s best garden for 15 years consecutively since 2003 by “The Journal of Japanese Gardening,” an American magazine specialized in Japanese gardens. Whether it is the first time for you to see a Japanese garden or you have visited the garden more than once, you will never get bored with its scenery because the beautiful garden looks different depending on the season, thanks to perfect maintenance. Looking out at the garden through a window of the museum, you will find it just like a “live picture” in a frame. 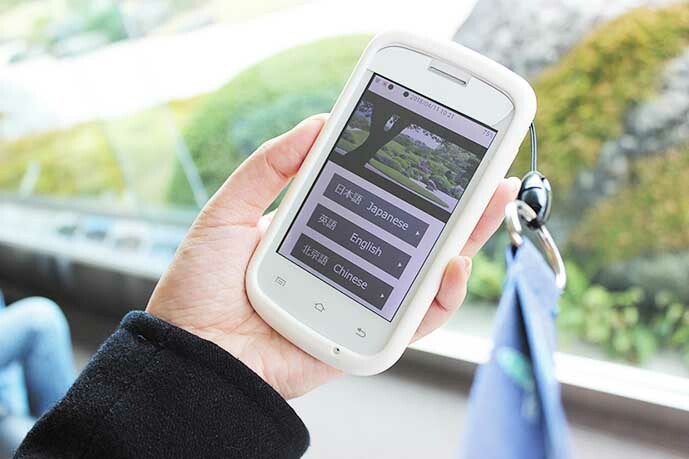 ★ Audio guidance in Japanese, English, and Chinese is available in the museum. 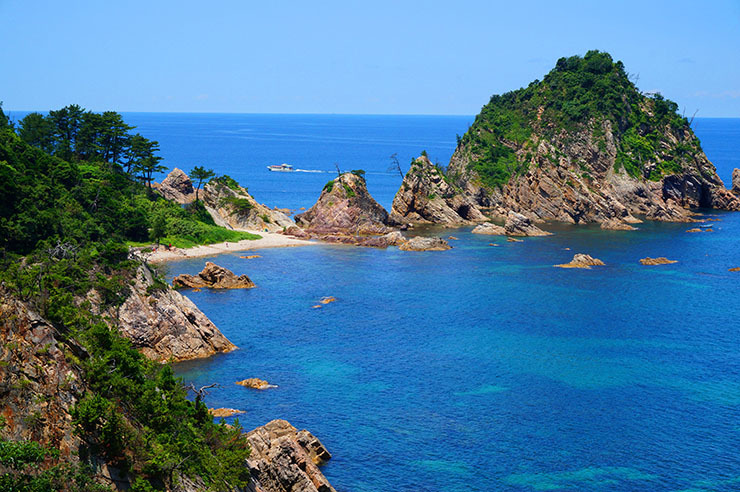 Tottori prefecture is rich in enjoying various activities such as hiking in nature, rowing clear canoes in the sea as well as delicious foods the nature has nurtured. 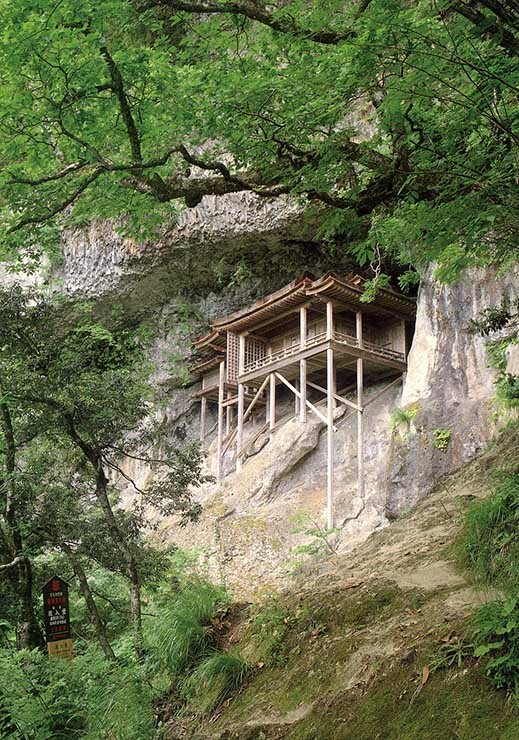 Mount Mitoku’s Nageire-do, a National Treasure, is said to be the least accessible temple in Japan. In order to get to the building, you have to climb up a steep and arduous path. A tour is offered to go up to Nageire-do wearing a yamabushi (practitioners of Shugen-do) costume. 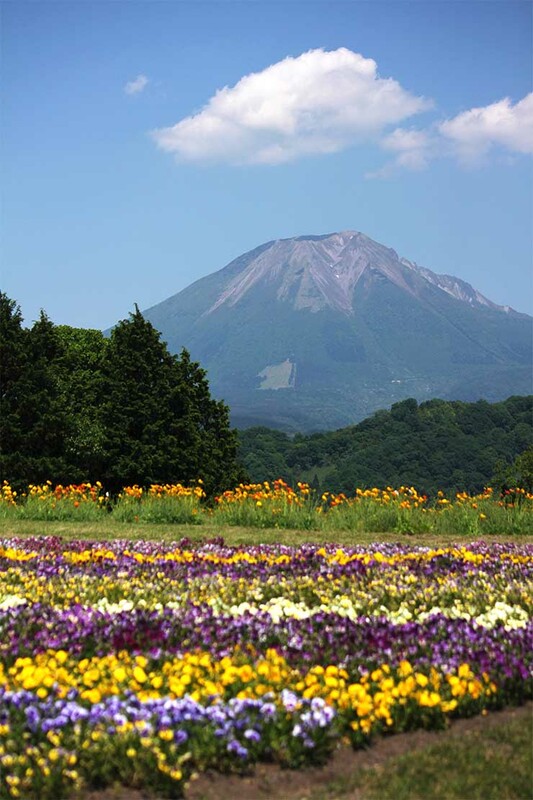 Mount Daisen, the focus of the area designated as Daizen-Oki National Park, is one of the famous climbing spots in western Japan. During the summer and autumn climbing season, people can enjoy hiking on the casual routes, regardless of their climbing experiences. There is an area where you can enjoy “glamping,” a style of camping with various amenities and services provided. 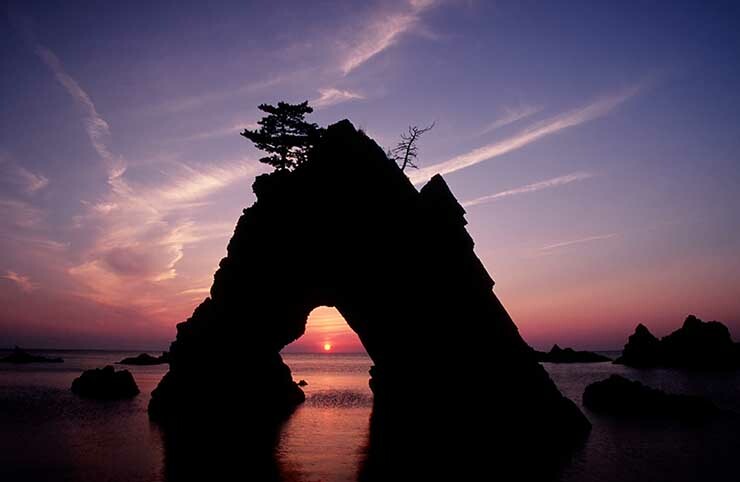 This coast has various unique landforms that were naturally created by the raging waves of the Japan Sea, such as caves and white sand beaches. The water is very transparent. Get on a clear canoe and you can go through a cave and visit places that cannot be accessed by sightseeing boat! 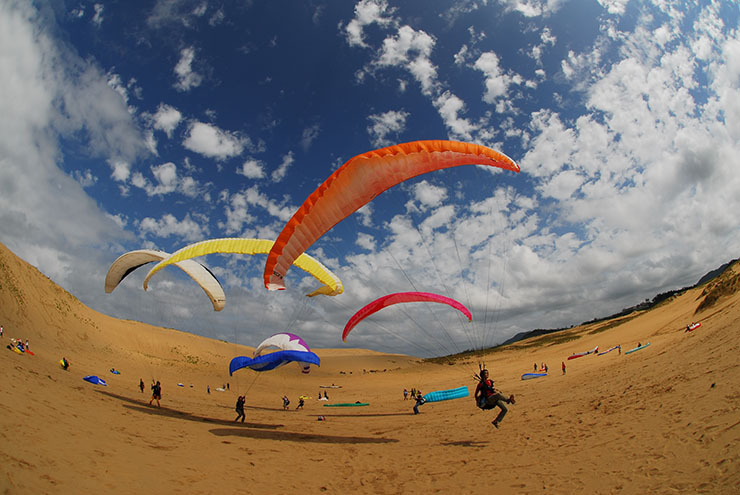 One of the largest coastal sand dunes in Japan is a place where you can enjoy various unique activities, such as camel riding, paragliding, sand boarding, and yoga. 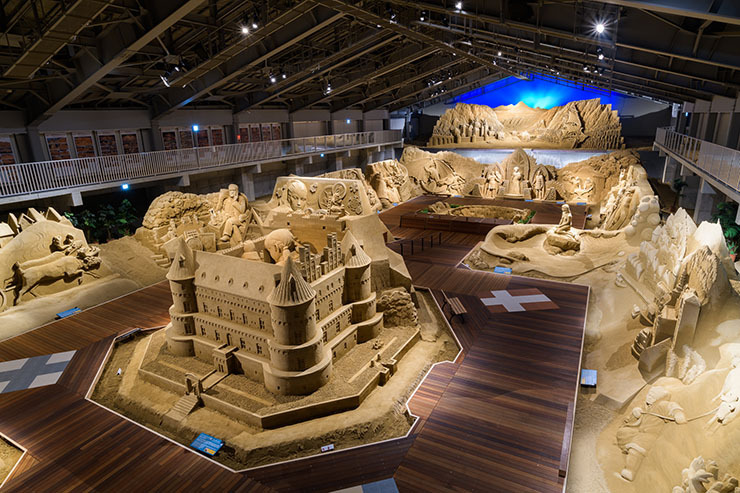 Located near the Tottori Sand Dunes, this art museum’s basic concept is travelling in the world of sand. 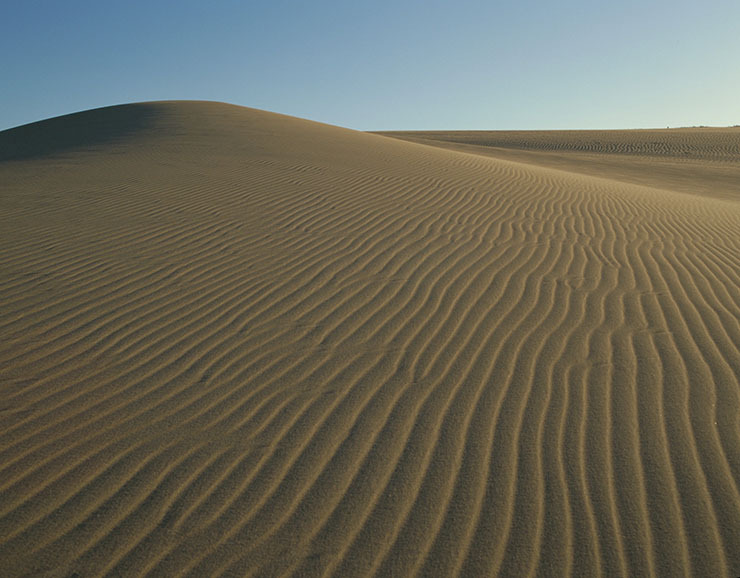 Under a theme that changes every year, it presents the beautiful art of sand. 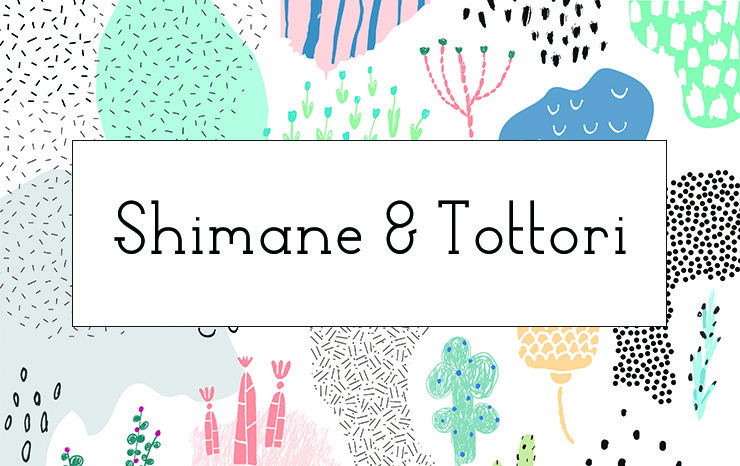 With delicacies of the seasons from the ocean and mountains, Shimane and Tottori have a wide variety of delicious foods. Here are some recommended dishes to try in San’in. 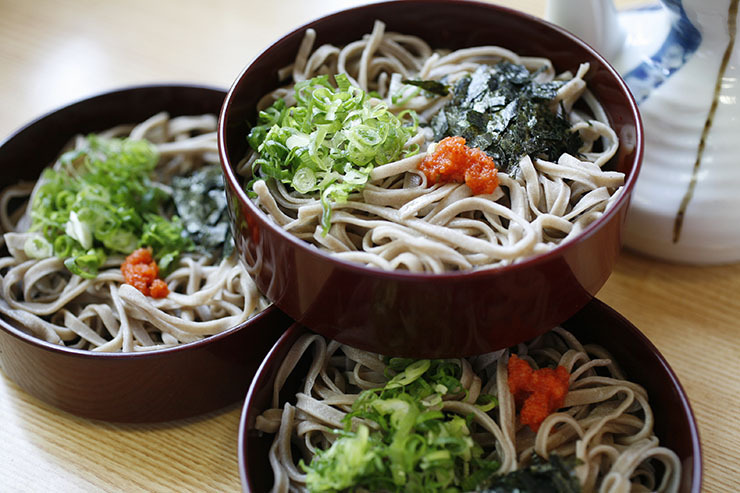 Izumo soba is characterized by darker-colored buckwheat noodles as well as by the way of eating it. It is commonly served in a 3-layer round container and eaten with a soup that is directly poured over the soba in the container along with some condiments. 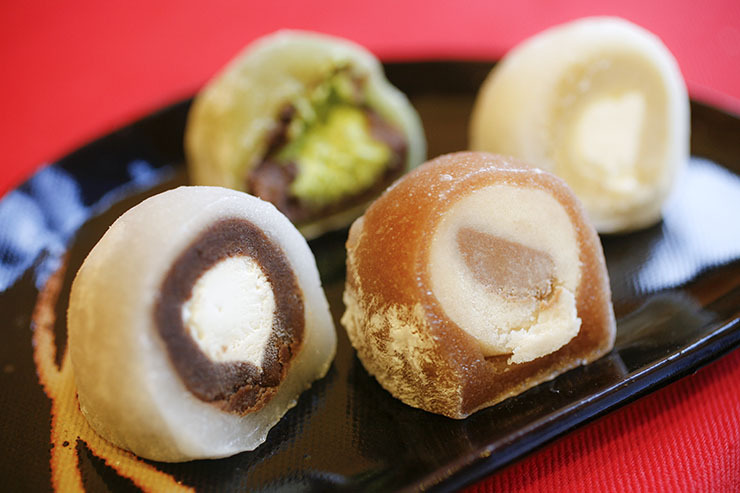 With a tradition of matcha tea and wagashi, Matsue has many wagashi shops, from long-established ones to new ones offering “cute” confections. 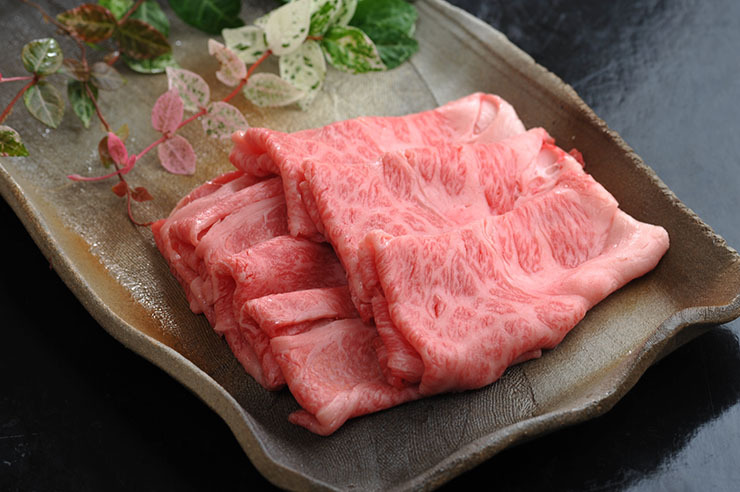 Selected as Japan’s best quality beef in “The 11th National Competitive Exhibition of Wagyu,” Tottori Wagyu beef has a perfect balance of lean parts and fatty parts, characterized by a melty texture. 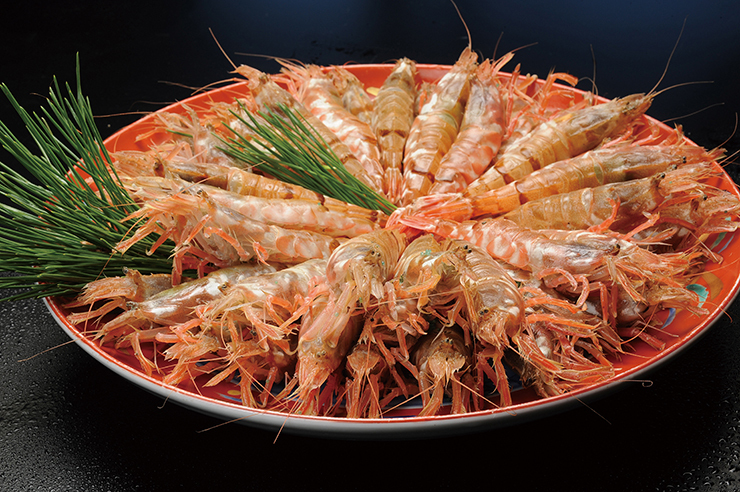 When eaten as sashimi, mosaebi shrimp is sweeter than amaebi (Alaskan pink shrimp) with firmer and bulkier flesh. As it spoils quickly, you can only enjoy it locally. 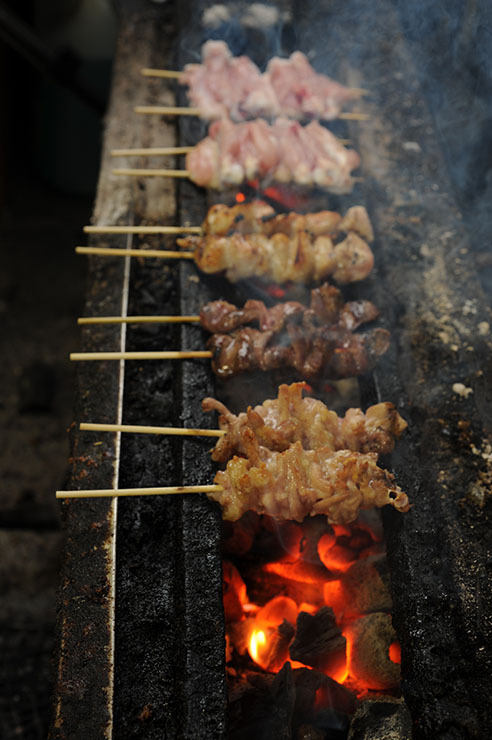 Raised with the clean air and fresh natural water in Daisen, Daisen chicken is very juicy and sweet, making it perfect for any dish, including yakitori and kara-age! Tottori Prefecture is also famous for Nijisseiki nashi, which has a nice balance of acidity and sweetness. Tottori’s pears have the largest market distribution in Japan. About a 20 minute-walk from Mizuki Shigeru Road, this place offers crab catching and tuna dissecting performances as well as all-you-can-pack fish sales. 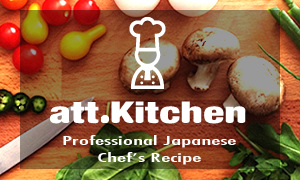 Enjoy fresh fish caught in Sakaiminato. *The contents may differ according to conditions. Going Back to Japan of 400 Years Ago? 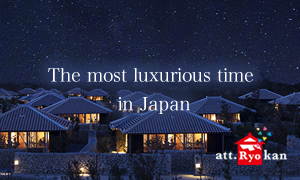 Travel Through Time in Aichi!